“Everybody gets hurt doing Crossfit.”As a physical therapist, I hear this all the time and the inner CrossFitter in me wants to scream! So, I decided to do some research to shed some light on the subject. Although there are few documented studies looking at the injury rate and patterns among CrossFit athletes, some clear trends emerged. Injury rate is similar to general gym/fitness club participants. CrossFit can function safely for athletes across age groups if performed in a safe environment. No significant difference in injury rate based on length of participation in CrossFit or length of training session, although more seasoned athletes have longer training sessions. Lower injury rate at affiliates that require a fundamentals/on-ramp program for new members. Females are significantly more likely to seek coach supervision than males. Significant correlation between injury rate and level of coach supervision. Most common places of injury are shoulder (gymnastics movements) and low back (olympic lifts). Most reported self diagnosis is general inflammation and pain, with most injuries being minor and return to training likely. 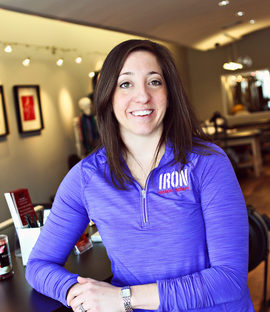 As a physical therapist, Level One CrossFit trainer and avid CrossFit participant, I am on the front lines of injury rates and patterns among local CrossFit athletes. I find that crossfitters are very aware of their bodies, limitations, and abilities. They often know when something feels "wrong" or "off". If the bottom of the squat or the lockout position feels funny, most will know it immediately. The majority of the CrossFit athletes I treat come in with minor injuries and can continue training throughout physical therapy (although sometimes with modifications). The typical stay is around 6-8 visits over the course of 2-4 weeks. The most common injuries I see in the clinic are overuse, inflammatory issues such as shoulder tendonitis, lateral epicondylitis, and a few shoulder impingement syndromes. These injuries are usually the result of mobility issues that when corrected, resolve on their own. After the initial course of treatment, it is not unusual for crossfitters to come back for an appointment to "check in" and get a "tune up" so their issues, either new or old, stay at bay. I also provide advanced consultation on proper form so athletes are using perfect technique, especially during olympic lifts. Unlike other athletes I treat, I have never worked with a cross fitter who had to undergo surgery or quit training long term due to injuries resulting from their participation in CrossFit. I also see that most CrossFitters I treat or work out with are passionate about movement and function. As a physical therapist, I love to see this and instead of discouraging any type of physical activity, my goal is to always to help people STAY ACTIVE while preventing and managing injuries. Choose a CrossFit gym that requires a fundamentals class. We’ve all done it, and it’s for your benefit. Make sure you have knowledgeable coaches who you're comfortable with.The coach shouldn’t be on the cell phone, gabbing with other athletes or turning their back to you. A great coach will keep an eye on all athletes and provide constant guidance during the WOD. Ask for help! Don’t leave the workout wondering if your form is ok, or if something feels “funny." Ask for feedback so you can avoid injury and maximize benefits. Master proper technique before adding more weight. Finishing first in your class or earning a PR are not worth an injury. Lift smart and you will stay in the game! Team up with a trusted medical professional! Work with someone who's as passionate about staying active as you are. If something hurts for more than three days, get it checked out! Don't push through the pain and let something minor turn into something major. Have fun and do what you love! Injury Rate and Patterns Among CrossFit Athletes Weisenthal, Beck, et al.